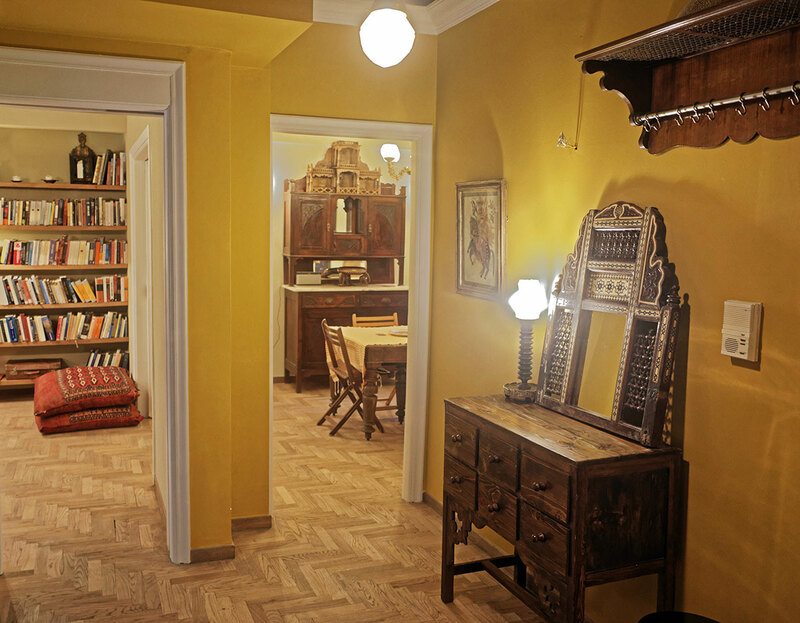 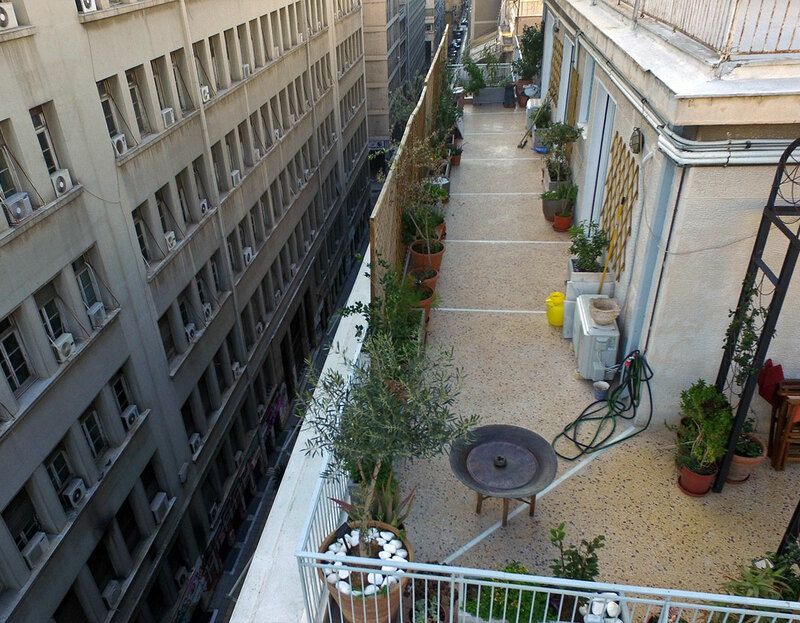 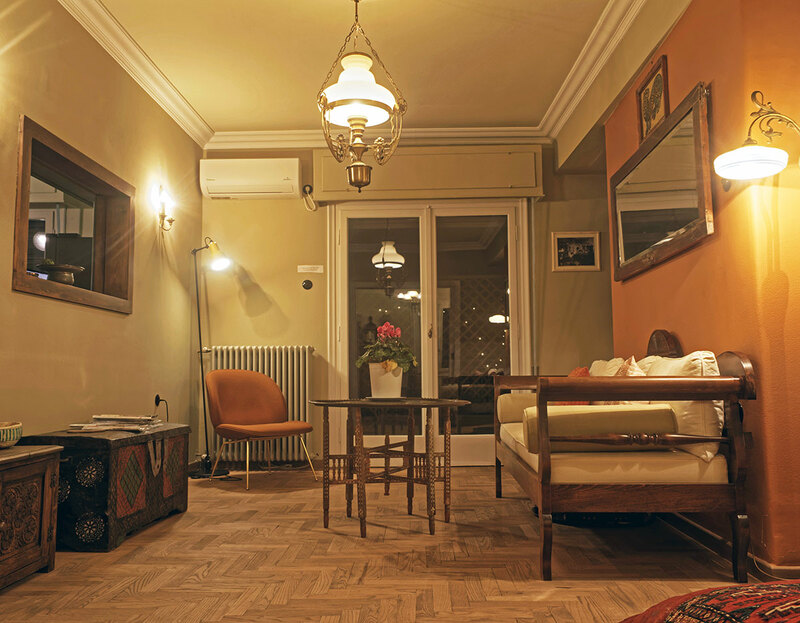 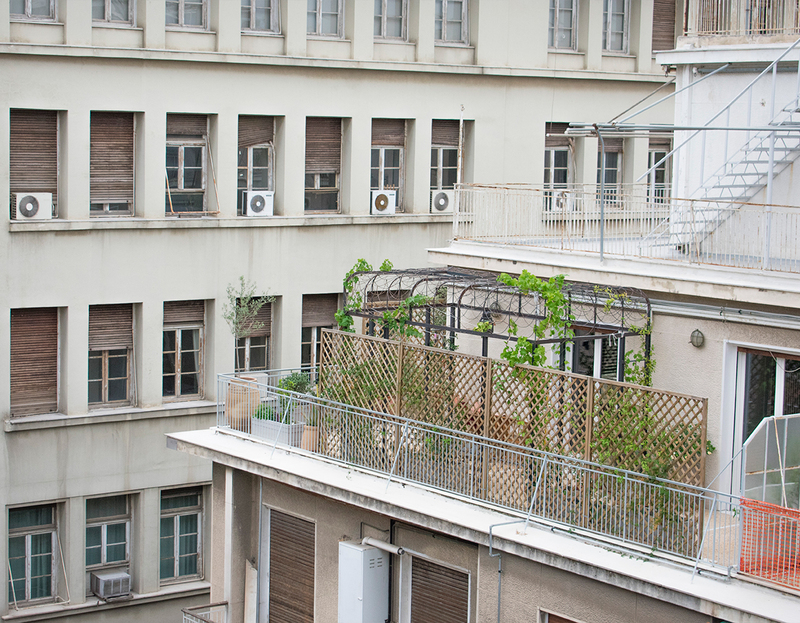 Iason is a 6th floor, fully-equipped penthouse in the center of Athens looking on Lycabettus hill. 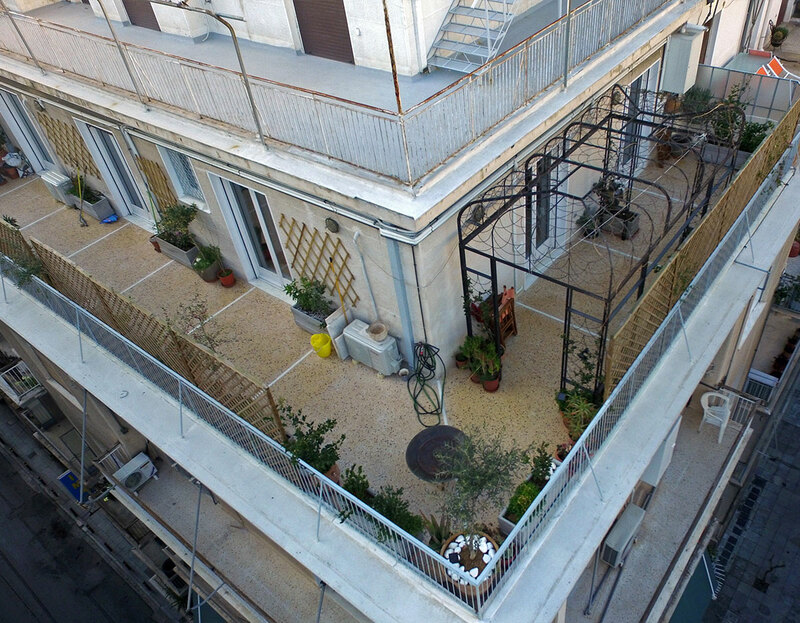 The 100m² interior space is decorated in a belle époque aesthetic, while the 70m² corner terrace contains a verdant garden and several olive trees. 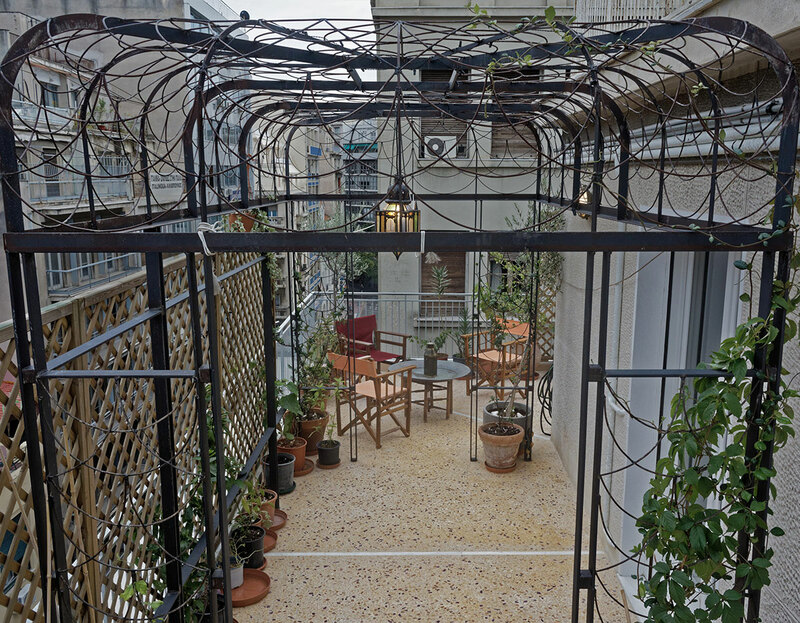 Besides the eclectic interior design, the terrace's metal pergola presents an extraordinary design element providing inspiration for outdoor photography and film shoots. 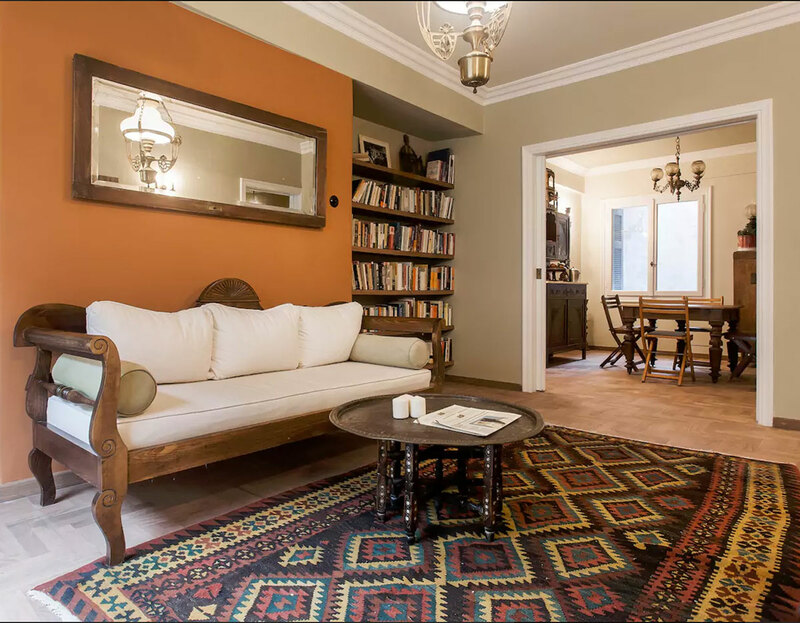 These characteristics allow Iason to provide a unique space for any kind of artistic project seeking to intellectually capture the atmosphere of home in the very center of Downtown.